Hello and welcome to my blog. Today I am sharing a card that I made for the My Creative Time Color Challenge. For this challenge I found a card that inspired me on Pinterest. Here is the link to the pin . For this card I used some Bazzil cardstock for the base of that card. 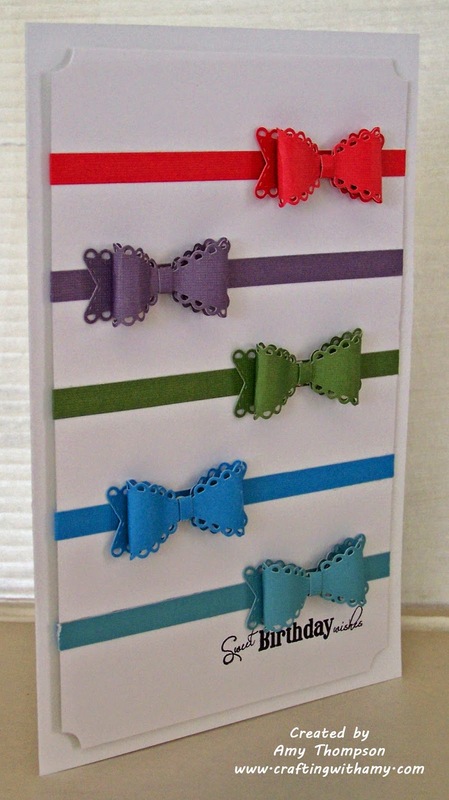 I then used some DCWV brights cardstock stack and neutrals cardstock stack for the bows. The sentiment is from My Creative Time called Vintage Sentiments and for the bows I used My Creative Time Fun Sized Stitched Scalloped Bow Die. I hope you liked this card and were inspired to make your own project for this challenge. Amy ~ Oh WOW! I LOVE how CAS this card is and how you used the bows too! BRILLIANT and FUN idea! 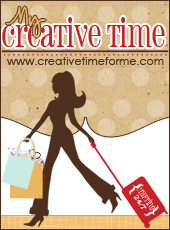 Thanks for joining us over at My Creative Time ~ Designer Challenge! This is fabulous! I love all those little bows! 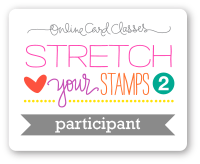 Thanks so much for joining us for the designer challenge over at My Creative Time! never would have thought of using the bow die like that, I just love it!!!! thanks for joining our challenge at My Creative Time! 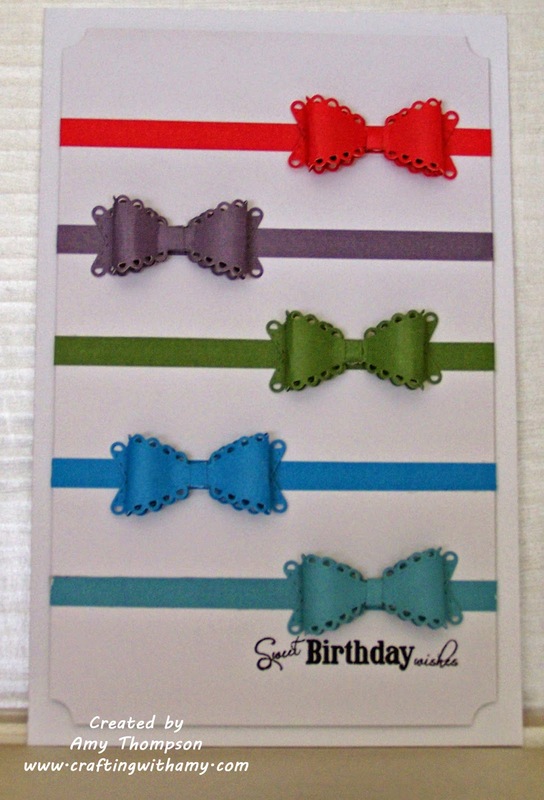 Congratz Miss Amy your card is so awesome gosh what a fun way to use Miss Emma's bow die....I love it. You definitely are one super talented gal!! Such a beautiful CAS card. So pretty with all of the bright colors. Fabulous job!